Sweet Chili - Thai Fish and Noodle House - All Chucked Up! I love Thai food. It’s like a festival of amazing flavors playing inside your mouth. You get dishes that are sour and spicy or sweet and tangy all at the same time. Thai food also looks just as good as it tastes, making it incredibly hard to ignore (or turn down). 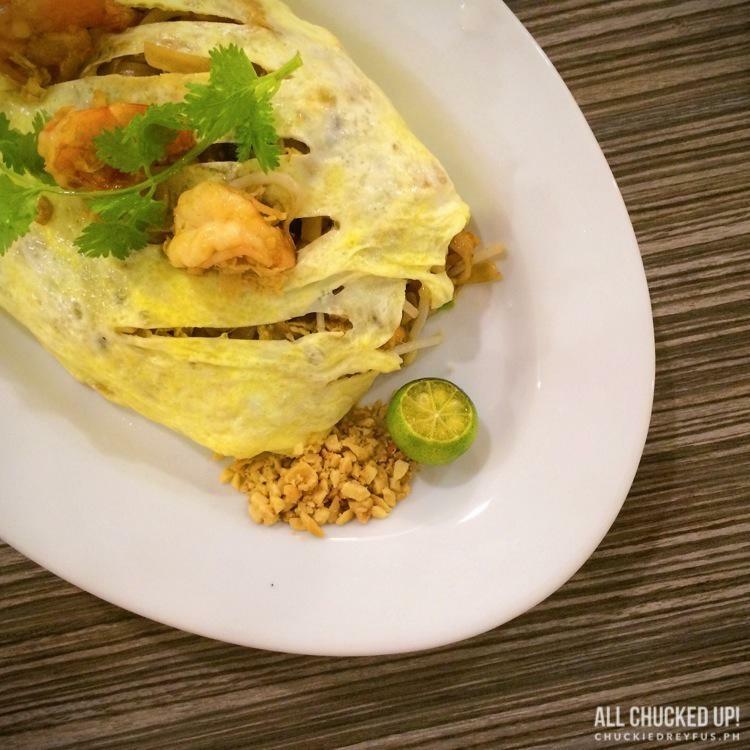 Unfortunately, really good Thai food spots seem to be hard to find around Metro Manila. And in case you do find one… the total cost of your food bill after dining would usually cost you an arm and a leg. 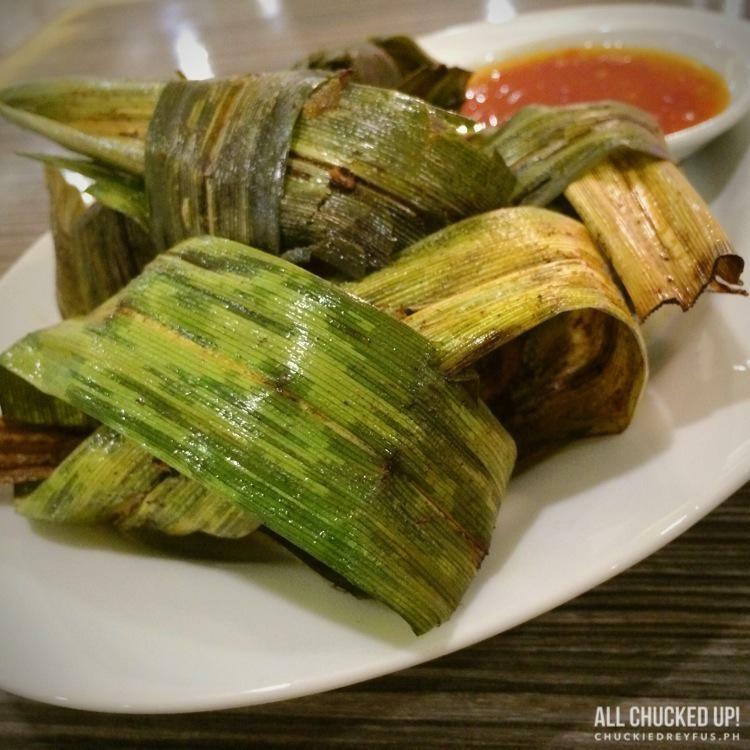 But just as you thought that all hope is lost, along comes a new restaurant that promises authentic and mouth-watering Thai dishes that are not only amazingly delicious, but insanely affordable, too! No kidding, folks. 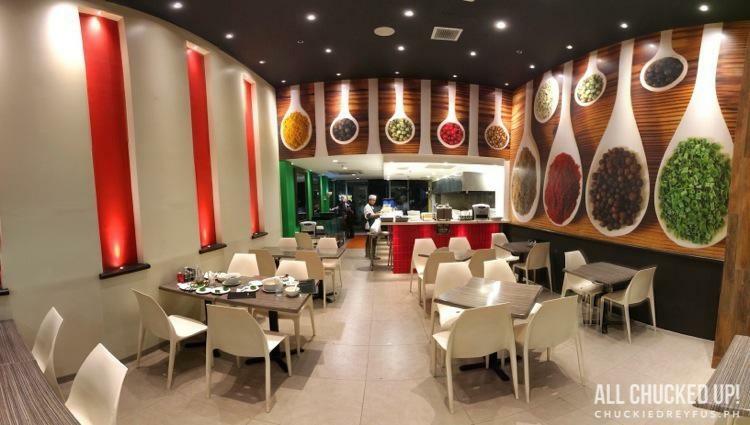 Say hello to, Sweet Chili – Thai Fish and Noodle House. 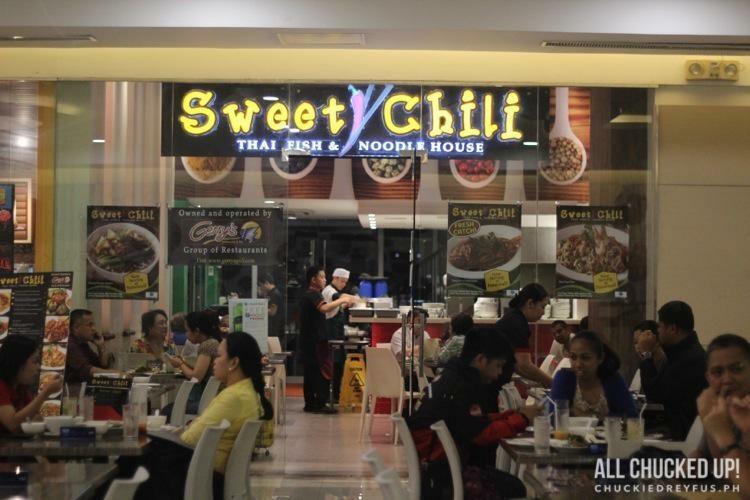 Sweet Chili is a very young food establishment located at the upper ground level (2nd floor) of Fisher Mall along Quezon Avenue. It is owned by Gerry’s Group of Restaurants… yes, the same guys behind the ever popular and highly successful, Gerry’s Grill (now simply called, “Gerry’s”). During our visit, there were a good number of people enjoying dinner at Sweet Chili. It seems that this new food spot has become pretty notable and I was just dying to know why. I was able to sample a good number of dishes that evening and I can’t wait to share my thoughts with you… so let’s get right to it! 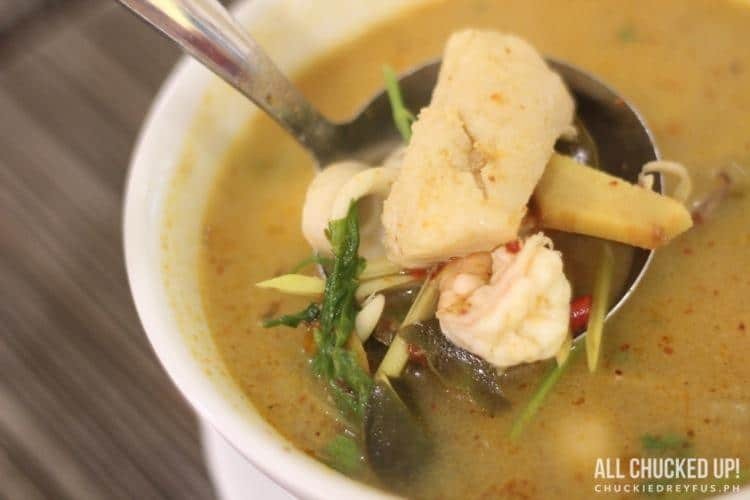 Fresh shrimp, squid and fish in authentic Thai herb soup. OMG. My first salvo and I was blown away immediately by the intense and insanely appetizing soup! It has a multitude of flavors in every sip, from delightfully hot to pleasantly sour, that just awakens all your taste buds. Wow. Oh, man! I fell in love with this dish because Sweet Chili’s version of Phad Thai was just bursting with flavor. It’s one dish you shouldn’t miss when you drop by. Incredibly flavorful. 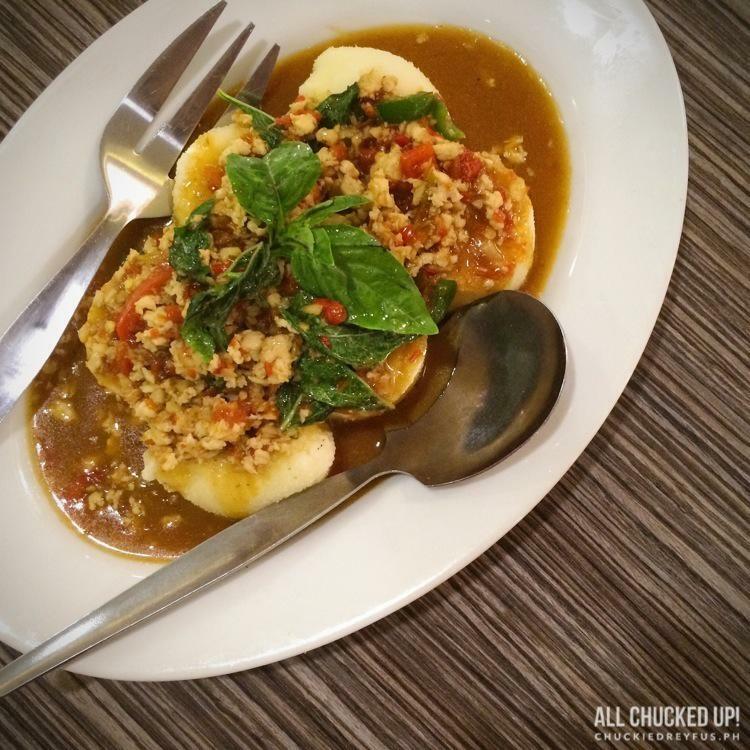 Another popular Thai dish that’s sure to win your hearts (and palates, of course). I love tofu. It’s something I just absolutely enjoy eating regardless of whatever dish it’s included in. But Sweet Chili created a delicious specialty that’s sure to make a lot of tofu lovers very happy and perhaps make converts of people who don’t enjoy tofu that much. Of course! 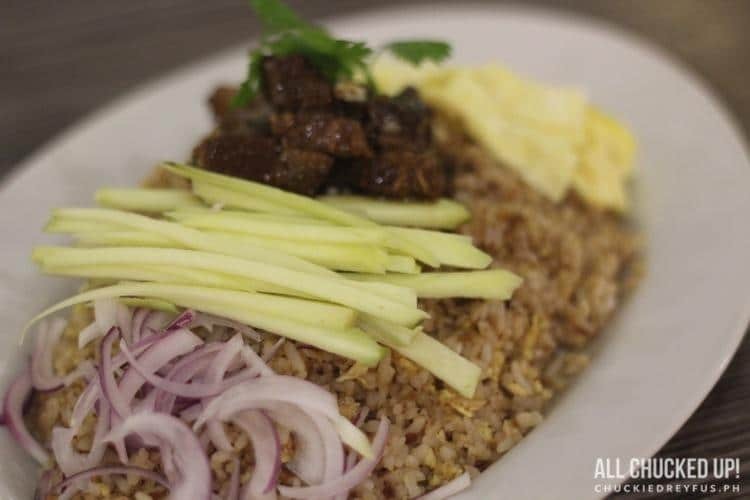 What Thai restaurant would be complete without Bagoong Rice? But not all bagoong rice dishes are created equal. Sweet Chili serves up, in my opinion, one of the best bagoong rice dishes you can find anywhere. It also goes well with all their other offerings. One order is good for 4 persons. 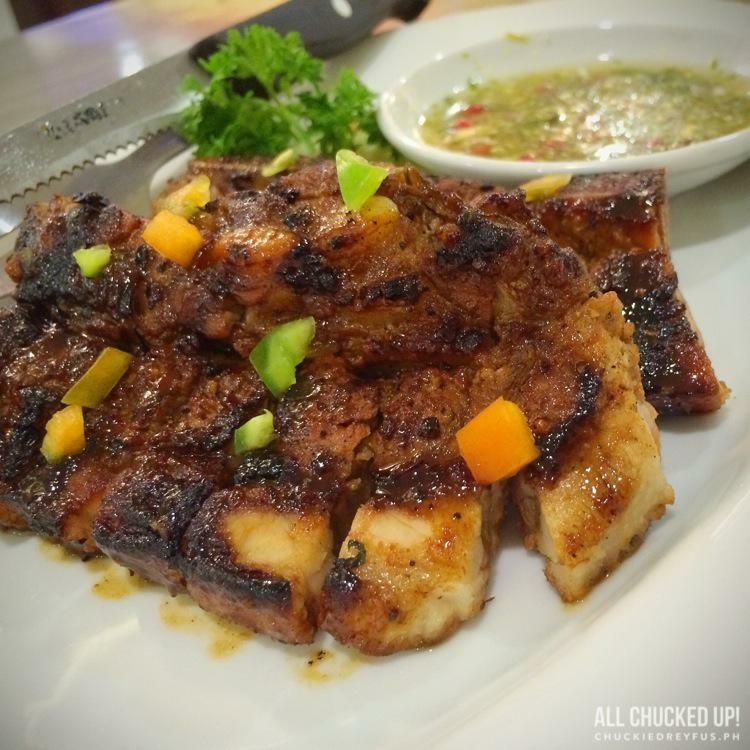 It may sound very Pinoy to most, but believe me… this dish just fits right in with all the other incredible Thai food that Sweet Chili has to offer. Oh… and don’t forget to try out the special sauce that comes with this dish. Wow. Live King Fish, deep fried until golden brown and served with a choice of sauces. A fantastically flavorful specialty that everyone must taste and experience. Many people come back to Sweet Chili because of this specific dish and after tasting it, I can clearly understand why. You just gotta order this when you drop by. A perfect ending to an awesome and memorable meal. 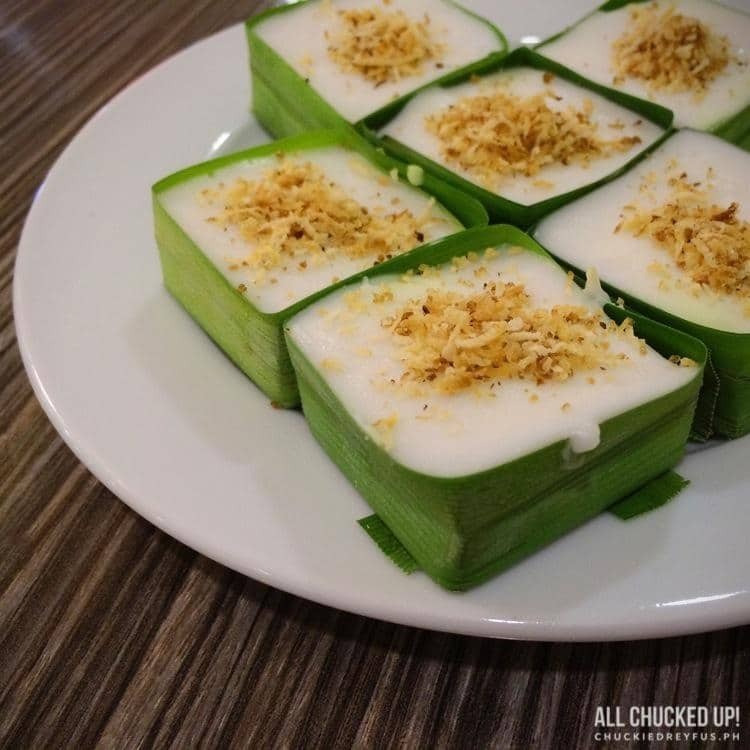 Soft tapioca pearl and coconut cream topped with desiccated coconut in pandan leaves. This Sweet Chili dessert tastes (and looks) quite similar to our very own Maja Blanca… but BETTER. I think I finished more that half of an entire order… I actually wanted more but held back for fear of looking like a glutton. Hahaha! I just have to say… if there’s only one word I could use to best describe Sweet Chili Thai Fish and Noodle House, it would probably be “Authentic”. Their amazing chef goes through painstaking measures to ensure that every single dish is authentically created from scratch. No shortcuts and no compromises. Even their sauces aren’t bought off the shelf… they’re made. The establishment’s dedication to not just genuine Thai food but to remarkably mouthwatering dishes best explains all the success Sweet Chili is reaping even this early. And rightfully so. Filipinos know delicious food when they taste one. They would travel great distances and even go to geographically undesirable places as long as good (and affordable) food awaits. 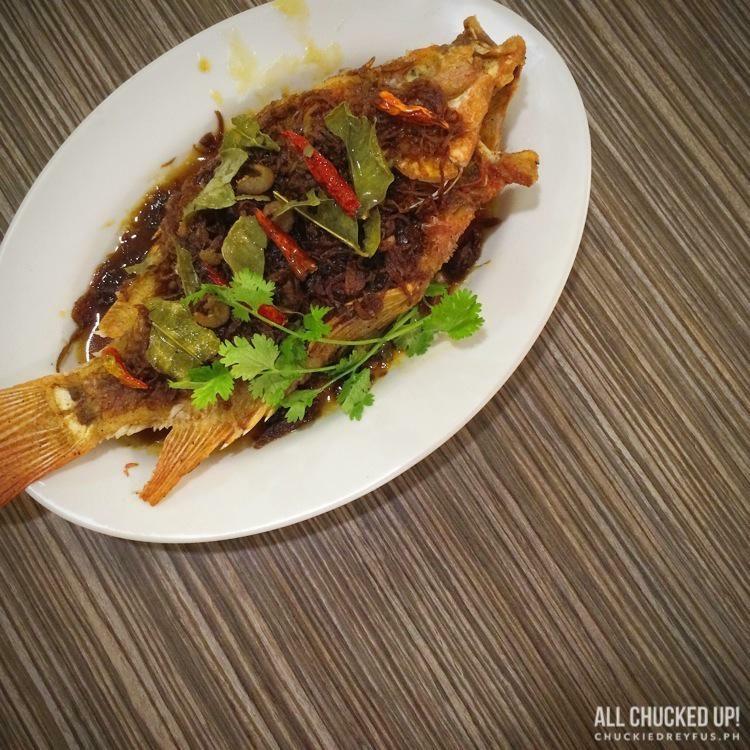 This is probably why droves of people flock to Sweet Chili Thai Fish and Noodle House. It doesn’t matter if you live nearby or far from Sweet Chili’s location. Their dishes are most definitely worth it. To know more about Sweet Chili Thai Fish and Noodle House and other incredible dishes they offer, visit their Facebook Page.